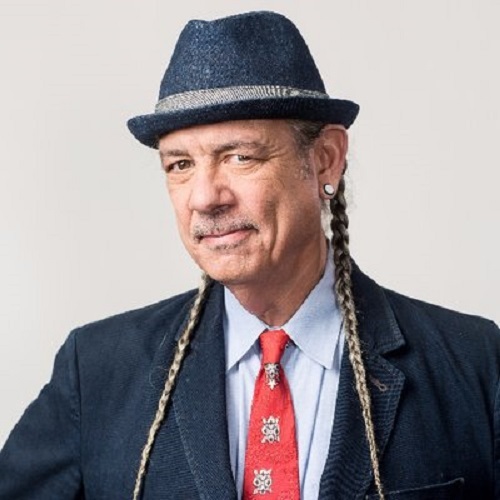 Steve DeAngelo is a national cannabis activist, entrepreneur, educator and thought leader who has been on the forefront of cannabis legalization efforts for more than four decades. He is the co-founder and executive director of Oakland-based Harborside, which he established with his life partner, Yoli, in 2006 and has since grown to become the largest medical cannabis dispensary in the United States. Harborside has more than 300,000 registered patients and was among the first dispensaries in the country to treat children with Dravet Syndrome, a severe form of epilepsy. Rooted in DeAngelo’s belief that cannabis use should be wellness-centric, Harborside was one of the first cannabis businesses in the nation to support comprehensive cannabis education for seniors, veterans and families with severely ill children. Harborside continues to set the industry gold standard and is a leading advocate for diversity, environmental sustainability and economic justice in the cannabis sector. As part of DeAngelo’s push to foster environmentally sound agriculture practices practices, Harborside in 2014 launched its line of SunGrown cannabis products aimed at minimizing electricity consumption and promoting sustainable cannabis cultivation and production processes. In 2016, the holding company Flrish Inc, purchased an agricultural site in Salinas now called Harborside Farms, that grows cannabis plants for the Harborside dispensaries as well as others. DeAngelo’s path to becoming a world-renown cannabis business mogul began in his youth. Deeply influenced by his parents’ involvement in the Civil Rights movement, he formed his political identity at a young age. He protested the atrocities of the Vietnam War and joined the peace movement in the ’70s. At the age of 16, DeAngelo began leading the charge against cannabis prohibition. Starting in 1974, he became the lead organizer of the annual Yippie Fourth of July Smoke-In in Washington D.C., a position he held for a decade. And in 1998, he spearheaded efforts to legalize medical cannabis through Initiative 59 in his hometown of D.C. Although the ballot initiative was approved by 69 percent of voters and carried every precinct, Congress passed an amendment to block its implementation. Heartbroken, DeAngelo moved to California that year and has since become a distinguished member of the burgeoning cannabis business community in this country and around the globe. In 2008 after establishing Harborside, DeAngelo co-founded the first commercial cannabis lab in the country, Steep Hill Labs, to support a socially responsible industry and ensure cannabis products comply with public safety standards. The company has grown to become a world leader in cannabis science and technology with extensive expertise in lab testing, remote testing, genetics, research and development, and intellectual property licensing. Steep Hill Labs has also positioned itself as a leading consultant to legislators and regulators around the world seeking to establish a unified set of industry best practices. With a keen understanding of the industry’s direction and future growth potential, DeAngelo decided in 2010 it was time to develop the next wave of American cannabis entrepreneurs. He co-founded The Arcview Group, a cannabis angel investment network and research firm dedicated to galvanizing progressive drug policy reform by empowering a responsible, profitable industry. The Arcview Angel Investor Network connects the brightest and most motivated entrepreneurs with vetted investors. The network includes more than 600 accredited investors, and has raised at least $150 million for 160 cannabis-related companies to date. DeAngelo was named one of the seven “most powerful people” in America’s cannabis industry by Fortune in 2016, a “gatekeeper” of the cannabis industry in 2015 by the International Business Times, and one of the most influential people in the cannabis industry in 2014 by Cannabis Business Executive. Dubbed “the father of the legal cannabis industry” by former San Francisco Mayor Willie Brown Jr., DeAngelo has been an industry pioneer and lifelong advocate for legalization. He has received many awards including a Lifetime Achievement Award in 2015 from High Times magazine. DeAngelo’s trailblazing activism and his creation of a model medical cannabis dispensary that sets best practices for an entire industry has made him one of the world’s foremost cannabis entrepreneurs and thought leaders.